See the featured image above? It’s a logo I created for FREE using the online logo maker at DesignEvo.com — and I did it in less than 5 minutes. Having an eye-catching logo is important for individuals, companies, and organizations because it plays a crucial role in branding. However, hiring a designer to create a custom logo can cost hundreds of dollars. That’s not a very desirable option for those with limited budgets (e.g. small startups, family businesses, writers, bloggers, non-profit groups, homeschool co-ops, churches, clubs). As a web-based tool for creating professional logos, this is where DesignEvo comes in handy. Using DesignEvo, you can be your own designer even if you don’t know anything about graphic art or design. The FREE option gives you the bare minimum of a low resolution image of 500px, but for many purposes that’s all you need. If you change your mind later, there is an upgrade option for you to purchase a paid version of that logo. I love the fact that the paid packages are a one-time charge – no having to pay a monthly subscription when you only want to use the service once or just once in a while. Moreover, the PLUS option allows you to maintain copyright ownership, which is imperative if you’re designing a business logo, and that alone makes it well worth the purchase price. So if you’re serious about your brand, the PLUS package is definitely the one to get. And even if you’re not sure where you’re going with your logo, the PLUS sale price is still a great value. Let me re-emphasize: The BASIC and PLUS packages are a one-time fee for ONE logo. If you want to create another logo with a completely different design, you will have to pay again. However, if you want to make changes to your original logo, you can edit and re-download the same logo. Over one million icons available to search through. Hundreds of text fonts and shapes to choose from. Simple drag-and-drop tool makes it quick and easy! Sign in. You can you can choose to connect with Facebook, Google+ or sign up using an email address. Choose a template. There are 18 categories to choose from, and you can search using a specific keyword to narrow down the choices, or click “Start from Scratch” at the top to create your own logo on a blank page. Add and edit text. Add a logo title, as well as a subtitle if needed. Choose from a wide variety of classic or artistic fonts. Add and adjust decorations. Add and adjust any icons, symbols, lines, shapes, banners, or other decorations that you want. Customize your logo. To make sure your logo will look unique and different from others using the same template, the entire logo is fully customizable in terms of color, font, gradient, size, curve, background, etc. Preview your logo. You can preview how your logo will look on a letterhead, business card, website, T-shirt, etc. Save and download your logo. There are 3 file formats available: JPG, PNG, and the paid versions offer transparent PNG. For the free version you have to link to DesignEvo on your social media, blog or website in order to download your logo file, but you will get a legit logo with no watermarks or obstructions. Check out DesignEvo’s getting started tutorial for more information. You can’t upload your own images to use in your logo design. I wish I could save multiple draft copies for experimenting with different designs. I’d like to be able to reproduce my selected logo in both a color and b&w version. 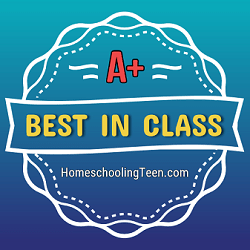 Want to design a stylish logo for your homeschool group, part-time business, or social media profile? Try it! About DesignEvo: DesignEvo was developed by PearlMountain, a software developer that has been publishing image editing programs since 2006. Over the past six years, it has released products enjoying great popularity among worldwide users such as Picture Collage Maker, CollageIt, FotoJet, DesignEvo, PearlMountian Image Converter, etc. Thanks to Candy from PearlMountain who let me try out all the free and paid features of DesignEvo. 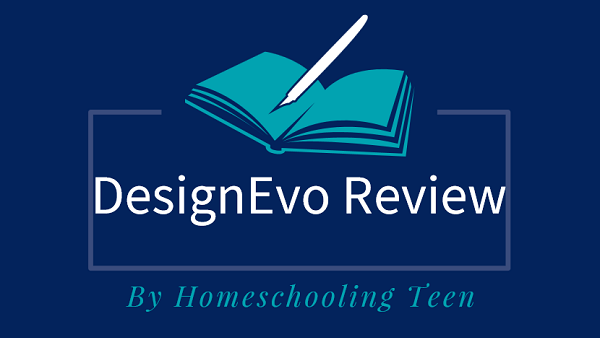 Have you used DesignEvo? What kind of logo did you make? Please leave your comments below!